Over 20 million Americans currently have diabetes and this number is increasing at an alarming rate. Despite strong evidence about the optimal treatment of diabetes, care often remains suboptimal. For example, one examination of a national sample of diabetes patients found that <10% of patients surveyed were in optimal blood sugar, blood pressure and cholesterol control. One important barrier to optimal chronic illness care is poor health literacy and numeracy. In 2003, the National Assessment of Adult Literacy (NAAL) found that approximately 90 million Americans have basic or below basic literacy skills and that 110 million have basic or poor quantitative (numeracy) skills. Lower literacy and numeracy skills are independently associated with poor understanding of health information, poor health behaviors, and poor clinical outcomes. The aim of the PRIDE study was to assess the efficacy of a low-literacy/numeracy-oriented intervention to improve diabetes care in under-resourced communities. The study took place in Tennessee Department of Health “safety net” primary care clinics in Tennessee. These primary care clinics provide diabetes care for a predominantly uninsured population at high risk for poor diabetes-related health. The study represents a novel partnership between the Tennessee Department of Health and the NIDDK funded Vanderbilt Center for Diabetes Translational Research to improve care for a vulnerable population of diabetes patients. 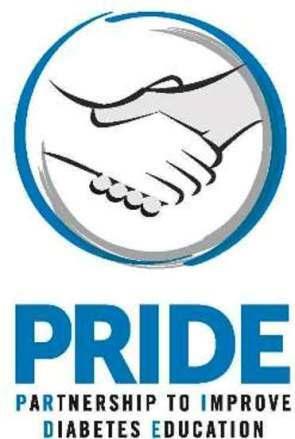 The PRIDE Study was funded by NIH grant R18 DK083264.